A 21-year-old man who attacked a couple in the street in Milton Keynes has been sentenced to 45 months’ imprisonment. Ross Benjamin Savage of Dixie Lane, Wavendon Gate pleaded guilty to wounding/inflicting Grievous Bodily Harm, Common Assault Battery, Possession of knife/sharp pointed article in a public place and Possession of a controlled Class B. Drug. 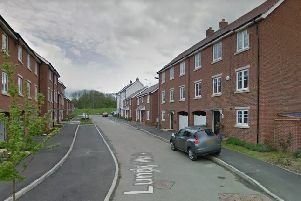 During the incident on Broadlands in Netherfield in November 2015 a couple, both in their fifties, were woken in their home by a man and a woman shouting and banging outside. They went outside to investigate. As they walked back up their path into their home address Savage approached them aggressively and assaulted the man punching him to the side of his face and breaking his cheekbone. After a struggle they ended up on the ground where Savage tried to gouge the victim’s eyes and bit him on the leg. Savage’s female accomplice also kicked the victim in the head. The female victim tried to help but was punched in the head and kicked in the leg. Savage returned a short while later with a knife, making threats. He was sentenced to 36 months’ imprisonment for the GBH charge, two months for the assault charge to be served concurrently, nine months for the possession of a bladed article in a public place to be served consecutively and one month for the drugs charge to be served concurrently. “This was a horrific unprovoked attack on a couple outside their home resulting one of the victims sustaining serious injury. This behaviour will not be tolerated and offenders will be brought to justice,” said PC Adrian McIntosh.